What Causes Pain in Your Right Neck? Are you suffering from chronic pain in the right neck? Every day, a lot of people have been experiencing neck pain. This painful condition is due to the abnormalities that occur in the neck’s complex system including the tissues, muscles, nerves, and spinal structure. If there are still no clear diagnosis of the condition, then you might wonder what it’s all about and the reasons why you are having this frequent pain in the neck. This article will let you know some of the possible reasons behind the chronic neck pain. 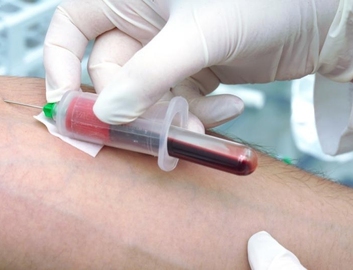 Though this list is not comprehensive due to the complexity of the human body, it will give you a quick overview and proper information about the condition. Proper management is necessary, so be sure to have it checked by medical doctors particularly pain management doctors for correct diagnosis and proper medication. What Causes Pain in Right Side of Neck? Muscle strain occurs due to the overuse of the muscles. This may be due to several actions including extended time in front of the computer, long-distance driving, and engaging in activities that restrict movements of the head for a prolonged period of time. These activities tend to weaken the muscles in your neck. Once what talked above occurs, your neck joint may become stiff, leading to limited movement and contact with the nerves, which in turn results in pain. Poor and unusual sleeping positions may lead to pain in the neck. This may be experienced by those who are sleeping on their stomach, sleeps with too many pillows, and those that use very soft mattresses. These factors may increase your risk of neck pain because the head and the neck are no longer in line with the other parts of the body. Poor posture can directly affect the muscles present in the neck, shoulders, and spine. The more you maintain the bad posture, the higher the risk of having a weaker and more painful body. Keep in mind that posture plays an important role in the prevention, reduction, and elimination of the pain in right side of neck. Anxiety and stressful experiences affect the muscles around your shoulders and neck. During these situations, you may feel that your muscles are becoming more tightened, leading to pain especially near the neck area. Worn out joints in the neck may be associated with age. As one ages, the higher the risk that cartilage degeneration can occur, leading to conditions such as osteoarthritis. There are also cases when bone spurs occur, affecting the joints in the neck and causing pain and discomfort. Whiplash injury usually occurs when there is a force or impact that allows an immediate forward and backward movement in the head. This condition can occur when one suffered from car accidents, sports-related activities, and injuries, or physical abuse. These high impact activities make your ligaments and muscles to expand or overextend than the usual range and then immediately return to its original position, which in turn leads to damage, especially in your soft tissues. Other than neck pain, whiplash can also lead to dizziness, weariness, and blurred vision. Brachial plexus refers to the set of nerves that connect the arms, hands, and shoulders to the spine. Damage and injury to the brachial plexus may be due to traumatic accidents or contact sports. This will eventually cause pain in the neck, numbness, and weakness of the affected arms and areas. Cervical spondylosis is a condition that causes the spinal disks to depreciate and lose its functional capabilities. It leads to the narrowing of the space between the neck’s spinal cord passage and nerve root. This leads to neck pain and other symptoms including numbness, difficulty in moving, and lack of coordination. Cervical disc herniation occurs when there is damage in the annulus fibrosis, leading to the protruding nucleus pulposus. This condition causes pain in the neck, arms, and shoulders. It can also lead to numbness and weakness due to the compression of the herniated disc in the spinal column. How to Relieve Pain in Right Side of Neck? Several treatments can be done in order to relieve the neck pain. Mild pains can be treated by using home remedies that can be easily done to help ease the pain. Severe and debilitating pains that last longer should be given proper medical attention and treatments. • Use organic neck wraps that allows instant relief and wonders due to its heating and cooling effect. • Make use of a neck brace and traction to allow resting of the neck muscles. However, do not use this for a longer period as it may cause weakening of the neck muscles. • Treatments such as acupuncture, chiropractic, and massage can be done to treat pain in the neck and help in its quick recovery. • Perform easy and simple exercise routines for the neck to increase its strength and flexibility. • Always practice a good posture. Try using posture corrector or a soft foam collar for better neck stability. • Try yoga, meditation, and other relaxing techniques to reduce stress and anxiety. • Take over-the-counter drugs to relieve pain. Some of the common OTC drugs include ibuprofen, paracetamol, naproxen sodium, acetaminophen, and aspirin. 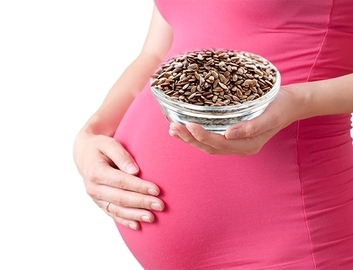 Is It OK to Eat Flax Seeds in Pregnancy? 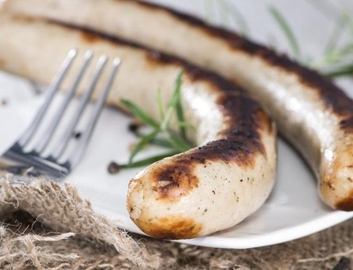 Sausage While Pregnant: Is It Safe to Eat?